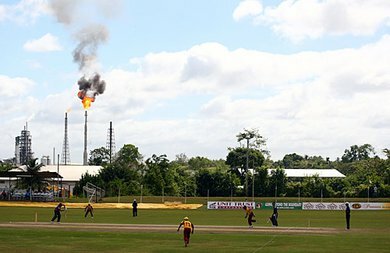 Guaracara Park is a cricket ground owned and operated by Trinidad and Tobago's state enterprise that primarily deals with the refining of crude petroleum, Petrotrin. It is located within the confines of their oil refinery at Pointe-à-Pierre. First-class cricket has been played there since 1960.